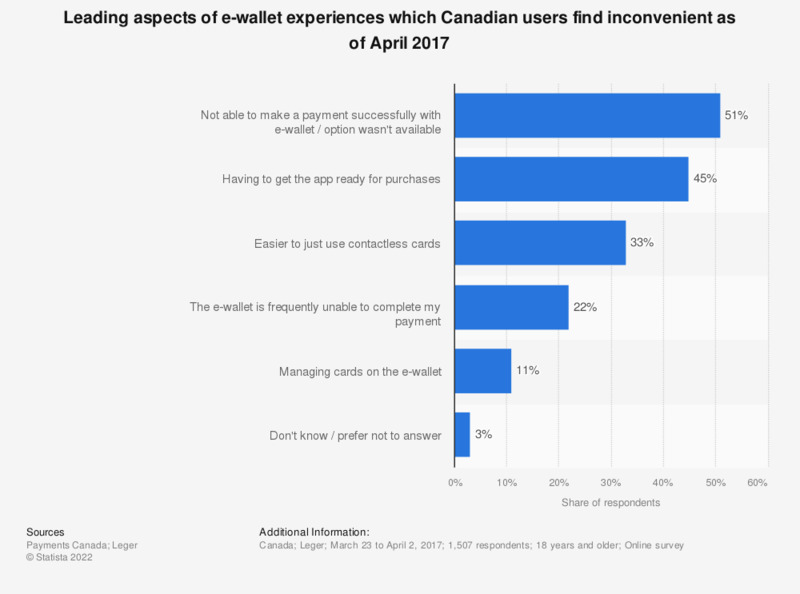 This statistic shows the leading aspects of e-wallet experiences which Canadian users find inconvenient as of April 2017. The results show that 51 percent of respondents were either unable to make a payment successfully with their e-wallet or the option was not available, and 33 percent of Canadians said that they found it easier to use contactless cards. Question: What do you find inconvenient about the e-wallet experience?